Iran threatens to attack US forces, and its proxies already have done so. As was pointed out in last week’s analysis about Iran, the Islamic Republic is in deep trouble due to a huge economic crisis which is expected to worsen once the United States introduces more sanctions intended to cripple the country’s petrochemical industry. The new sanction regime was introduced to deprive Iran of the possibility to continue its policy of expanding the Islamic revolution in the Middle East and beyond and to destabilize the regime of Supreme Leader Ayatollah Ali Khamenei. The regime, however, has no intention to cave in and last week stepped up its efforts to turn Iraq and Syria into satellite states by attacking or threatening U.S. related targets in both Syria and Iraq and by reinforcing its proxy forces in the Middle East. After a three-state summit in Tehran about the Syrian war, which was attended by the leaders of Iran, Turkey, and Russia, Iranian president Hassan Rouhani openly stated that Iran was seeking the ouster of the US military from Syria. “We have to force the United States to leave (Syria)” Rouhani told reporters while warning that the U.S. and Israel have realized “they will not reach their objectives” in the devastated country. The Iranian president repeated his demand that the U.S. immediately withdraw its forces from Syria, claiming that the “fires of war and bloodshed” in the country have reached their end. Rouhani’s warning to the U.S. came after media reported the pro-Assad coalition appeared to prepare for an assault on the American garrison in the At Tanf area on the Syrian Iraqi border. The Russian military last week warned the Trump Administration that it is ready to support an offensive by the Iranian-backed Syrian army against the US military at the At Tanf base east of Deir az-Zur in Syria. The U.S. keeps a presence on the Iraqi Syrian border to prevent Iran from establishing a contiguous land bridge from the Iranian border in the Nineveh Province in Iraq all the way up to the Israeli border on the Golan Heights. In reaction to the Iranian and Russian threats, the Pentagon decided to reinforce the Special Forces in At-Tanf and send another 100 Marines to the base. Last week, the Pentagon also reinforced its forces in the Kurdish-controlled region in southeast Syria by sending a 150-vehicle convoy from Iraq to what is called Rojava by the Syrian Kurds. Over the weekend, Iran also used its proxy forces in Iraq to attack US diplomatic missions in both Baghdad and Basra, the largest city in southern Iraq, which was placed under curfew on Saturday after violent protests about Iran’s growing influence in Iraq and a severe humanitarian crisis killed scores of protesters. On Friday, unknown assailants targeted the US embassy in the so-called Green Zone in Baghdad by firing three mortar shells which caused no casualties. This was followed on Saturday by a missile attack on the American consulate at the airport of Basra, a day after angry protesters torched the Iranian consulate in the city. Basra is home to a large Shiite militia which is part of the Iranian-founded and backed Hashd al-Shaabi umbrella organization of predominantly Shiite militias in Iraq. Last Wednesday a faction of Hashd al-Shaabi issued a statement warning foreign “invaders” that it would “expel” them from Iraqi soil. Iran’s Shiite allies in Iraq also urged Haider al-Abadi, the US-backed Prime Minister of Iraq, to step down and to apologize to the Iraqi people over his role in the devastating humanitarian crisis in southern Iraq. The Iranian proxies in Iraq blame the crisis on al-Abadi, but the population of the Basra region holds Iran accountable for their suffering. The Islamic Republic instigated the unrest in Basra by suddenly halting its electricity supply and by aggravating a severe water shortage in southern Iraq. On Saturday Iran also attacked a Kurdish base belonging to the Democratic Party (DPKI) of Iranian Kurdistan in northern Iraq. The missiles were launched from Urmia, an Iranian city 200 kilometers from the base in the Kurdish autonomous region in northern Iraq. A dozen DPKI fighters were killed in the assault, the first Iranian attack on the Kurdish opposition movement since 1996. Last week, Iran also tried to supply a large number of weapons to its Yemenite proxy Ansar Allah (the Houthis). Centcom, the US central command in the Middle East, later announced the USS Jason Dunham, a guided missile destroyer, had seized 2,521 AK-47 rifles on a stateless ship floating in the Gulf of Aden. 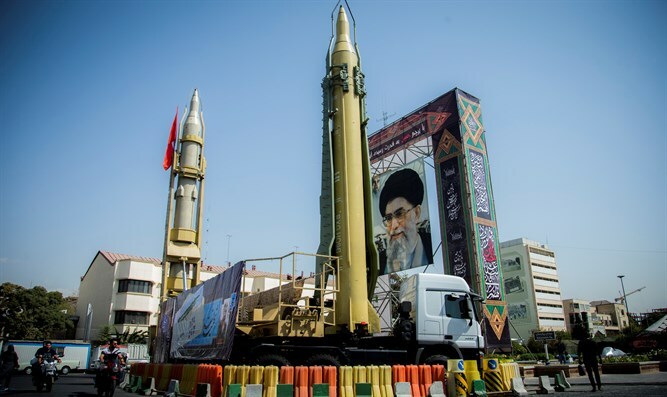 The attempted delivery of new weapons to Ansar Allah makes clear that the Iranian regime will not easily give up its imperialistic agenda for the Middle East and has decided to fight back against the American Israeli attempt to curb its malign influence in the region.